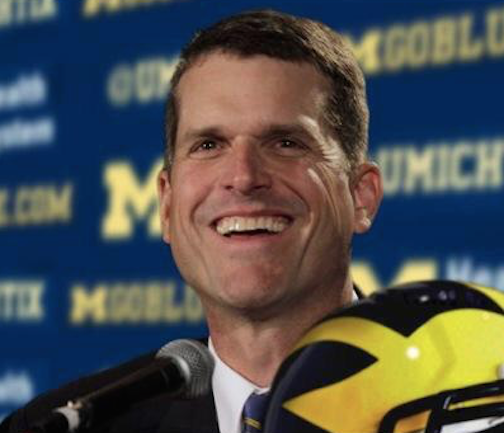 Michigan head football coach, Jim Harbaugh, has been the biggest advocate for satellite football camps. Satellite camps are football camps for high schoolers hosted by college coaches that are off campus, hence the word satellite. Satellite camps have been a controversial topic, and while there are many coaches and people who are in favor of these camps like me, there are some people (cough cough) the SEC who are not big fans of satellite camps. 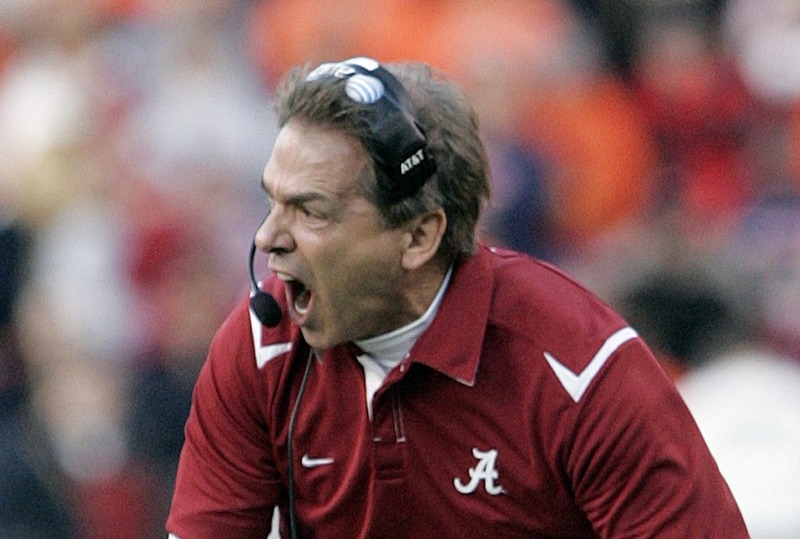 Alabama head coach, Nick Saban has publicly shown his disapproval of these camps. “I’m saying [Satellite camps] are bad for college football”, said Saban. One of Saban’s biggest points against these camps is that there are no specific guidelines and he believes that many college coaches could be breaking NCAA rules. While this could be true I believe that it is very unlikely. The real reason Saban and the other SEC coaches hate satellite camps is because they do not want other coaches encroaching on their recruiting territory. Jim Harbaugh has quickly become Saban’s and the SEC’s biggest nightmare by holding these camps in the southeast and others areas as well. This is a selfish act by Nick Saban and everyone against satellite camps. 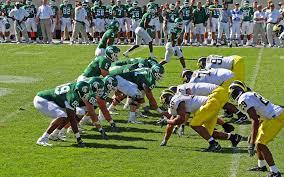 These traveling camps are very beneficial for the high school football players, and that is the most important factor. 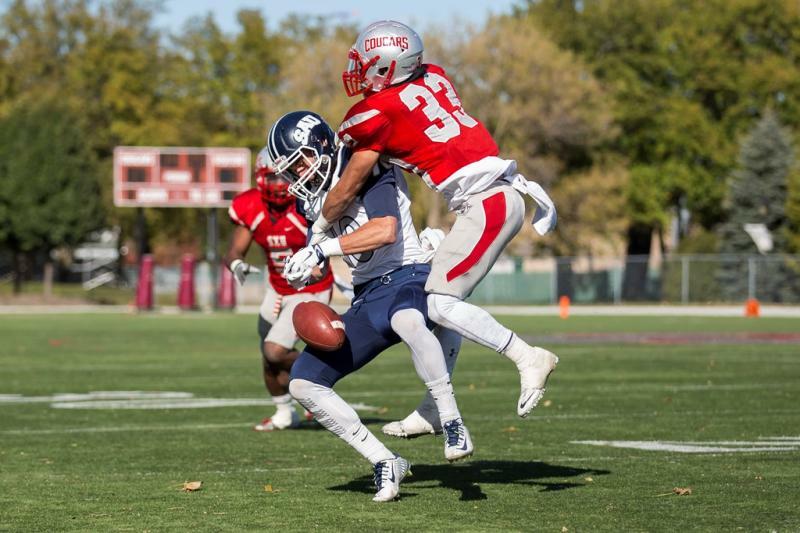 86 percent of college athletes live below the poverty line. Going on trips to colleges to just attend camps can be very expensive and many families of these athletes cannot afford to go on these trips. With satellite camps coming to the high schools it is very convenient for the players and the families. By campaigning against satellite camps, Nick Saban is trying to take away or limit opportunities for 17 and 18 year old athletes. So why is he doing this? Seems self-serving to me. Jim Harbaugh vs Nick Saban is developing into a fantastic coaching rivalry, and this makes me even more excited for the college football season. 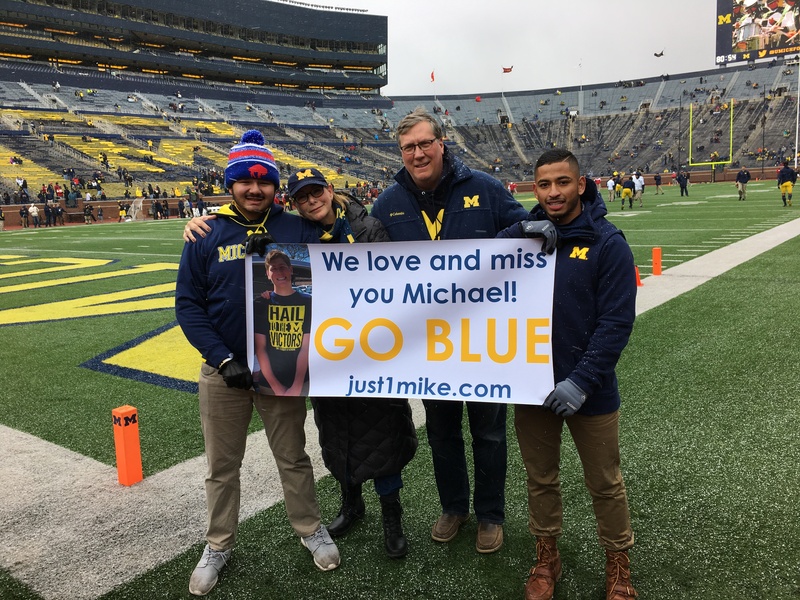 The Buffalo Wild Wings Citrus bowl is a matchup of the two premier coaching hires of the offseason, Jim Harbaugh and his Michigan Wolverines vs Jim McElwain and his Florida Gators. This game may be lower scoring than the first half of the Cotton Bowl. These two defenses are incredible, they both rank in the top 10 in scoring defense and they are both full of talent. Michigan started off the season hot, but since their “loss” to Michigan State they have never been the same. Quarterback Jake Rudock finally got a feel of the offense, and he has been rolling. Jabrill Peppers is the x-factor for this Michigan team, Peppers is the star for the maize and blue. If Peppers is fully healthy, look for him to have a big game. Florida has the most talented defense in the country, but their offense is just painful to watch. Almost as painful to watch as the Cotton Bowl. The Gators have trouble completing a forward pass. Florida is going to have to score on special teams and defense. This will not be a high scoring affair, but Jake Rudock and Michigan will get a feel of the Gator defense and run away with the game. Tomorrow is Superbowl Sunday, we all know that. There is so much hype to this game I will keep you guys posted on everything that is going on. This game is going to be a battle and here are the keys to a victory for each team. 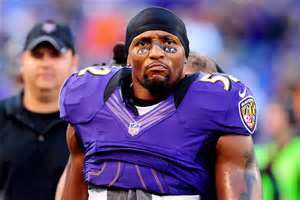 Key for Ravens: The Ravens are a hard hitting defensive team that have the heart of a champion. 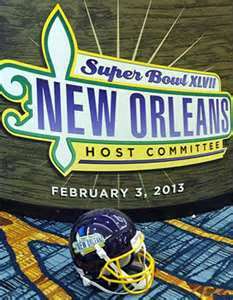 The key for the Ravens to become Superbowl champs is to be focused on the game. There are plenty of things to do in New Orleans and I don’t think John Harbaugh wants his team taking a stroll down Bourbon Street. That’s the last thing that they need. That’s when the Ray Lewis factor comes into play. They all want to send Ray Lewis out in style. This I think will keep all the players focused on the football game and not on the city life in the Big Easy. The whole “ Let’s do it for Ray,” just might send the Lombardi trophy back to Baltimore. 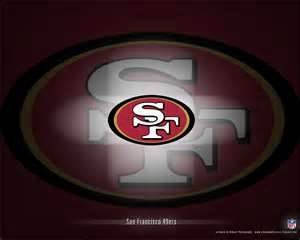 Key for 49ers: The 49ers came storming back to the playoffs after last year’s heartbreaking loss to the Giants in the NFC championship. This year they were determined to make it to the Superbowl and win one. Well, they’ve done one thing on that list let’s see if they accomplish the second. The key to a Niners victory is the play of second year quarterback Colin Kaepernick. Jim Harbaugh made a gutsy move to start Kaepernick over Alex Smith midway through the season. Many people thought is was a stupid move but right now it makes him look like a genius. There have been many doubters if Kaepernick can come through in pressure situations. Well, he has. 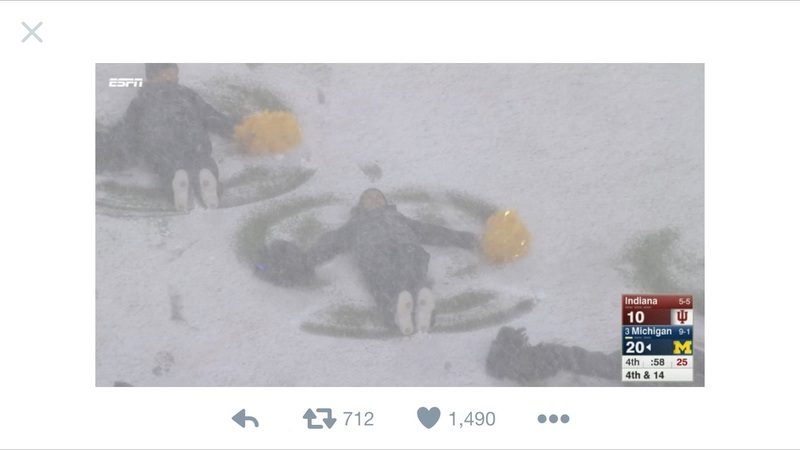 The Superbowl is a whole different monster though. 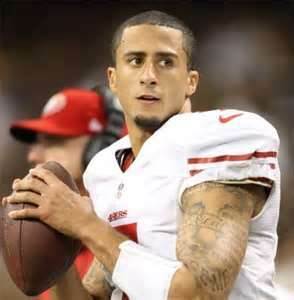 Can Kaepernick perform well in the biggest game of them all? If so they will be on a float with the Lombardi trophy in San Francisco. 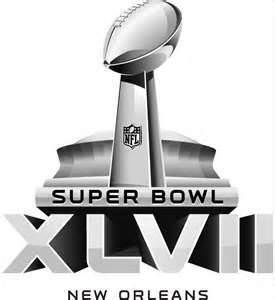 Prediction: 49ers: 28 Ravens: 25, Although the Ravens have heart the 49ers have too much talent. Finally, the little brother wins. 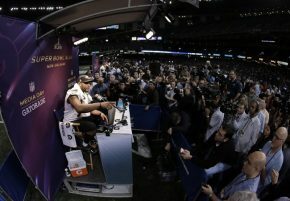 There were a lot of good questions this year at media day for the Superbowl but there were some stupid questions too. What would you ask if you could be a part of media day? You all probably know that I’m a huge Oregon Ducks fan so my first question would go out to LaMichael James. I would ask Randy Moss, “Randy, you said that you think you are the best wide receiver ever so do you think you are better than Jerry Rice? What do you think the San Francisco fans would think of that? Of course the super bowl is going to be Tom Brady and his perfect little Patriots. That’s what everyone thought at half time of the AFC Championship, but a football game has four quarters. Ray and the Ravens wouldn’t give up, they shut out the Patriots in the second half and Baltimore came back to win it. 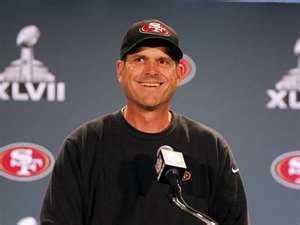 About three hours earlier Jim Harbaugh and his San Francisco 49ers were in Atlanta taking on the Falcons. The niners at half were down by a large deficit but Patrick Willis and the stingy San Francisco defense shut out the Falcons in the second half, while Colin Kaepernick and their offense mounted an enormous comeback to secure their path to the Super Bowl. 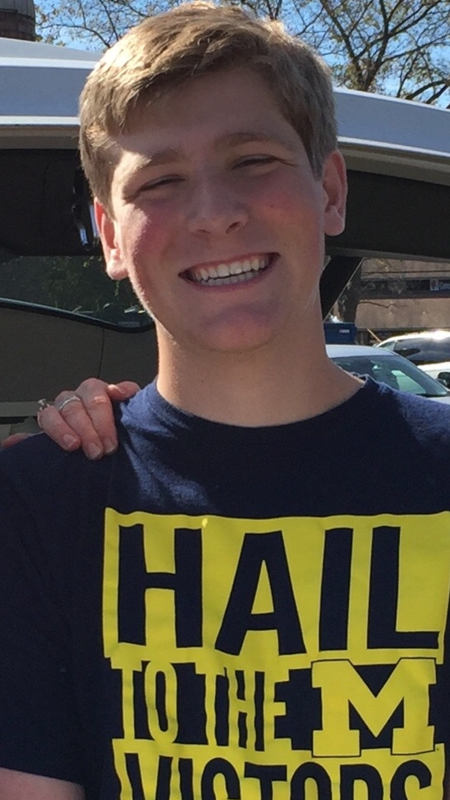 Both teams are coached by a Harbaugh, both teams scored 28 points, both teams shut out their opponents in the 2nd half, both came back and won, and both teams played on the road. Do I have double vision? 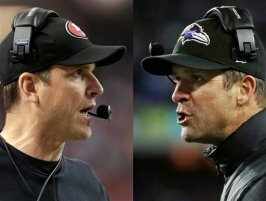 Most brothers have dreams but I don’t think that Jim and John thought at one point that they were going to coach against each other in the Super Bowl. This is amazing. The Harbaugh bowl, the bro bowl, the brother bowl, or the sibling bowl it doesn’t matter what you call it this is going to be a outstanding game. So who do you think will be the champs of the NFL?